Mystery solved? Max Müller (1823–1900), philologist and Orientalist, is a frontline contender for the inspiration behind Stoker’s famous creation, Abraham Van Helsing. Picture: Swarajya. In his interview with Jane Stoddart for the magazine British Weekly, Bram Stoker claimed Van Helsing was “founded on a real character.” But although Dracula scholars have found out by now from which real-life persons Stoker borrowed the names of Jonathan Harker or the lawyer Mr. Hawkins, Stoker’s remark about the Dutch professor has created a riddle that has proved unsolvable over the years. Following a hint from the Dutch-American author Tonny van Renterghem that his own grandfather, the Dutch psychiatrist and hypnotherapist Albert Willem van Renterghem (1845–1939), would have been the person meant by Stoker, I did extensive research on this possible connection during the summer of 2012. Although I found many possible ways in which Van Renterghem and his colleague, the Dutch psychiatrist and author Frederik van Eeden (1860–1932), might have been known to Stoker, a final proof eluded me. I wrote an article about the riddle for the Dutch literary magazine De Parelduiker in September 2012, and then focused on my planned Dracula Travel Guide and on other mysteries surrounding the most famous vampire story of all times. 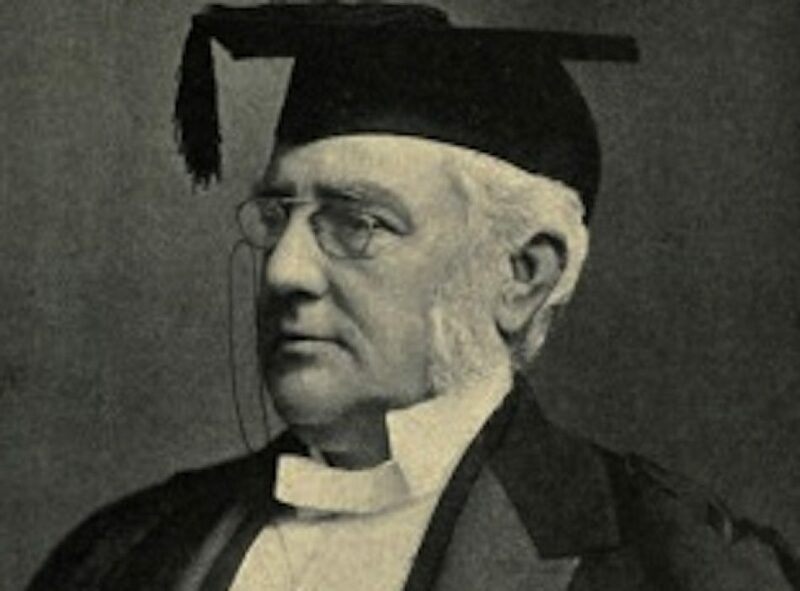 Over the past years, new information about one of the other possible role models for Van Helsing, Professor Max Müller (1823–1900) from Oxford, came to my attention. Müller had already been proposed as a strong candidate by Christopher Frayling, Elizabeth Miller, David Dickens and Clemens Ruthner—with good arguments but equally without definitive evidence. Although I, too, have to leave the final answer open, in today’s essay, which you can download as a PDF file from the link below, I have collected additional materials that help build the case for Max Müller. My article will give you an overview of the possible role models for Van Helsing discussed in Dracula scholarship, an analysis—from the sight of a genuine Dutchman—of the professor’s weird way of speaking, new information about where and when Stoker and Müller may have met, important geographical clues and finally an interpretation of the mysterious name “Windshoeffel” that Stoker used for “the German professor” in his preparatory notes for Dracula. As usual, this essay is richly illustrated—enjoy reading! “founded on a real character”: Jane Stoddart (Lorna, pseud. ), “Mr. Bram Stoker. A Chat with the Author of ‘Dracula,'” British Weekly, July 1, 1897, 185. I wrote an article about the riddle for the Dutch literary magazine De Parelduiker: De Roos, “Heeft de vampierbestrijder uit Bram Stokers Dracula echt bestaan? De Amsterdamse psychiater Albert van Renterghem en de hypnose,” De Parelduiker, no. 17 (2012): 41–57. Hans Corneel de Roos: “Dracula’s Best-Kept Secret: The Hidden Identity of Professor Abraham van Helsing” (5 MB PDF). Stoddart’s interview is the only known one Stoker gave for Dracula. You can read it here: http://www.bramstoker.org/pdf/nonfic/nfdracuk.pdf. Happy World Dracula Day! Previous article Was the Preface to the Swedish Dracula Written by a Priest?